The fear of falling into the water – that is the hardest part to get over when you first learn to canoe. 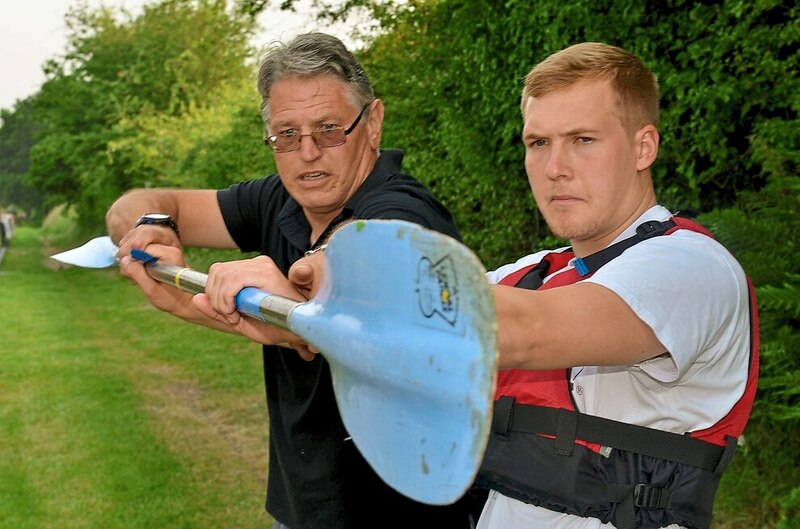 Express & Star reporter Jamie Brassington is shown how to get into a canoe correctly by Bankside coach Nigel Hargrave at Gailey Canoeing Club, Croft Lane, Gailey, Penkridge. 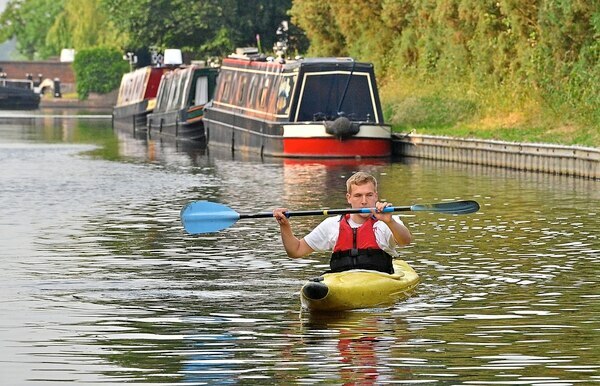 Express & Star reporter Jamie Brassington on the water at Gailey Canoeing Club, Croft Lane, Gailey, Penkridge. Especially if that water is a canal. I stepped into the kayak carefully following the pattern of movements my instructor told me to, before sliding into the seat. That was the first obstacle I had overcome. Now I had to stay upright for the next hour or so to remain dry. I was paddling in a yellow play boat. The kayak, a type of canoe, was specifically made so it was hard to topple – much to my relief – but the down side is that it spun you a lot in circles. So that is what I did for most of the remainder of the session – spin around – at Gailey Canoe Club based in Penkridge. But it was good fun. The warm sun beat down on us as we paddled on the water. The setting, a section of canal cutting through the countryside, was picturesque and idyllic. 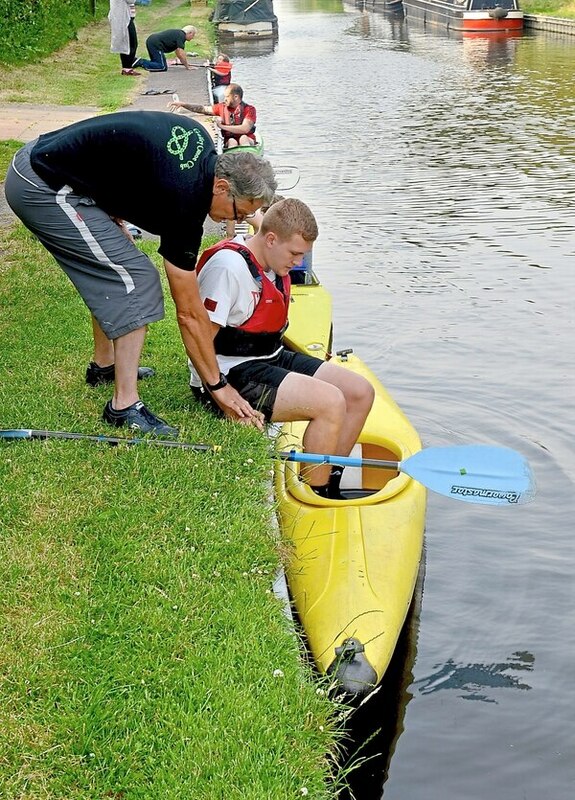 Being a newcomer to this sport, I was guided by the instructors to gain my confidence in the water for this first session, which meant gently paddling around in a small section of the lake and not travelling very far. The more experienced members of the club, some of whom take part in serious racing, speed off into the distance for an eight-mile circuit. I was what the canoe club is looking for – a newcomer. They are on the lookout for new members to join their ranks. 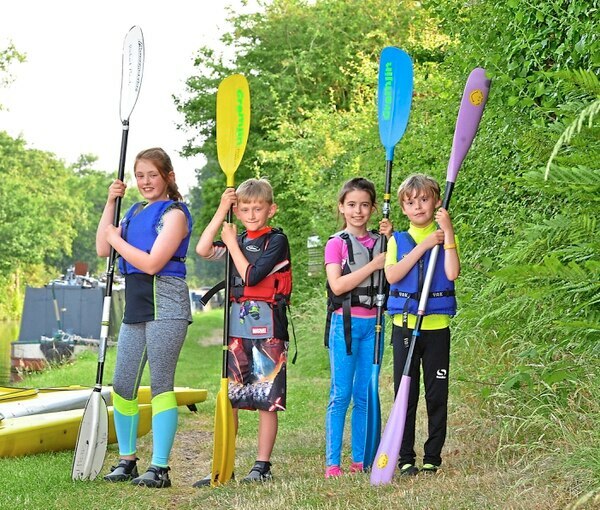 Canoeing offers a variety of benefits, said Louise Clive, who runs the club alongside her husband John. 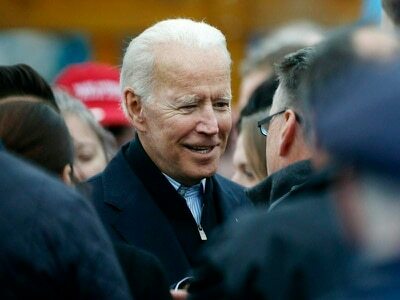 “It helps get you fit, but there is also the social side where you get to meet new people and make friends,” she said. “Especially for the kids, it gets them out of the house, away from their games consoles. Another positive aspect of the sport is that it open and accessible to all ages. “Our youngest member is eight and our oldest is 76,” said Louise. The club trains on Tuesdays, Thursdays and Sundays. It has around 60 members from children to adults. Some take part in canoeing at a leisurely level. But the club competes professionally and has up to 15 paddlers who race for them. Gailey compete in a Midlands division and currently have their eyes set on qualifying for a national competition, run annually, later this year. The top six teams from regional leagues around Great Britain qualify for the annual tournament. 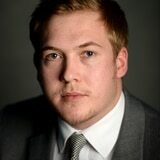 And Gailey look on course to succeed. They have one race left to go and are currently fifth in the league. There are different types of canoes that you can use. Some are designed for racing, which are more stream-lined and offer two seats, while others are more user friendly catering for a range of abilities. I was in a canoe of that latter category, on the Staffordshire and Worcestershire canal, outside the Croft Lane-based club. As a newcomer, I found it challenging getting to grips with the paddle – the long thin rod which you use to steer and move. You use the paddle in a figure of eight motion to steer and move. But every time I made a jerky movement and struck the surface hard, I felt like I was going off balance and would tip into the water. Luckily that didn’t happen, although I had a few wobbly moments. A second session on another day would see me travel a greater distance as I build up my skill and confidence. That is how instructors at Gailey teach you from the beginning. “You build up to travelling two miles, then four miles, and then eight miles,” said Louise. Racing at these distances is tiresome work and tests the competitors’ endurance. But Gailey are among the best in the country at this. Gailey has been running since the 50s, and for the last three decades have been based at their current site. A revamp of their clubhouse is underway, thanks to backing from the Canal and River Trust, a charity which looks after the canal network across the country. The charity has given Gailey a £1,000 grant, which will pay for new showers. The club currently has a social function room and changing rooms are also planning to install new toilet facilities. The revamp was forged as part of the deal with the charity, which saw Gailey tasked with the upkeep of the club building and the canal which runs outside their club, from Gravelly Way Bridge Number 78 to Gailey Bridge Number 79.